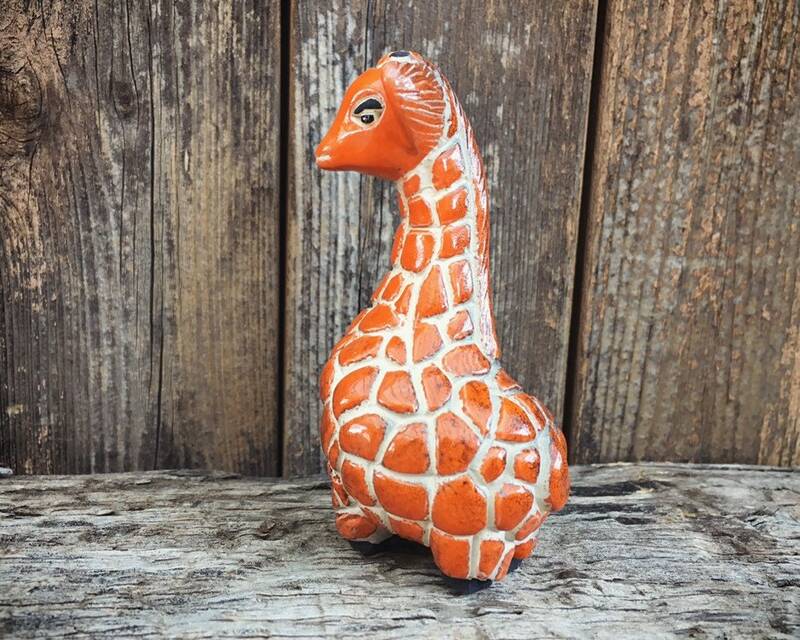 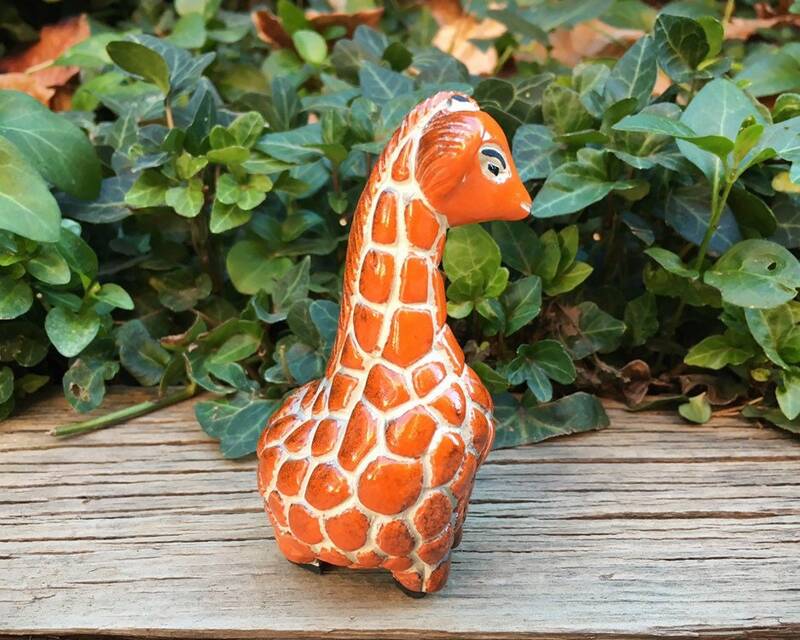 This is a sweet vintage pottery giraffe likely from the 1970s to 1980s, signed on the bottom by the artist or company. 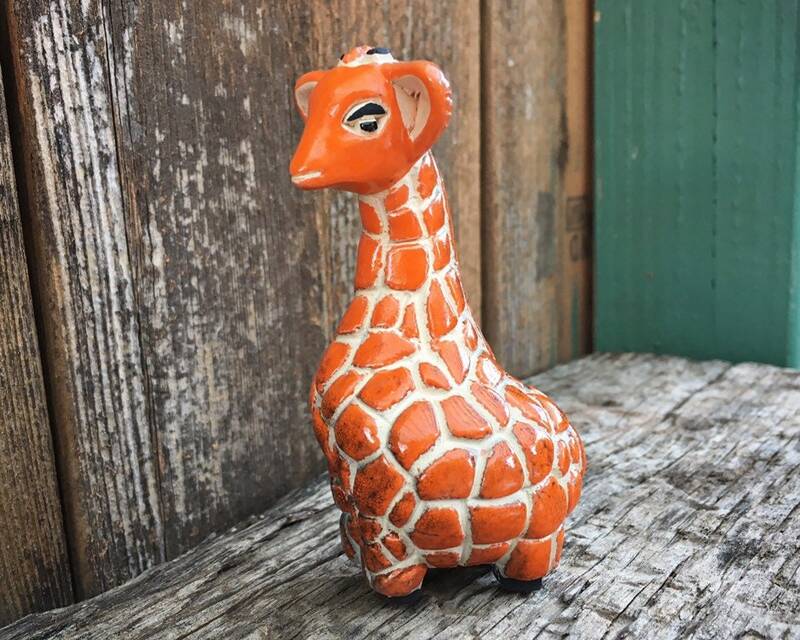 Giraffes carry so much symbolism--gracefulness, balance, the way they can reach so high and see from afar. 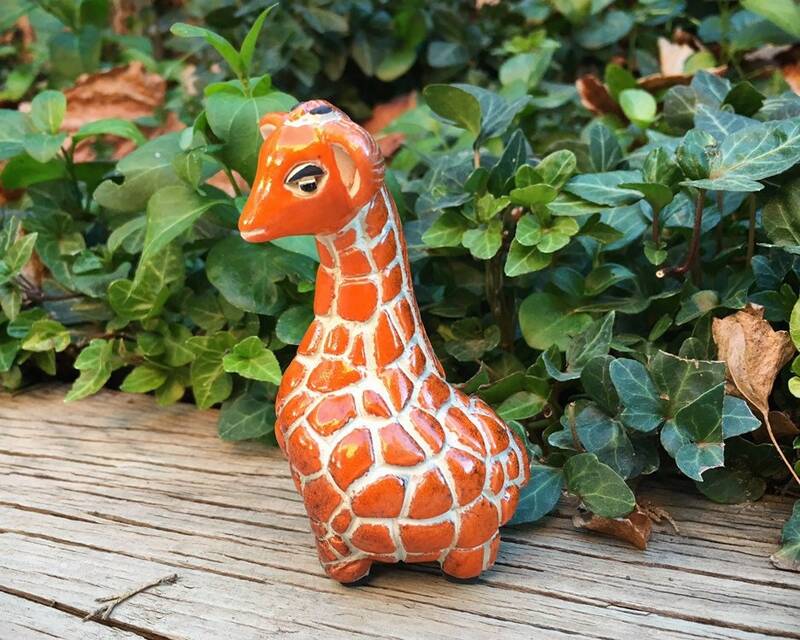 But also their gentleness and a mother's connection to child. 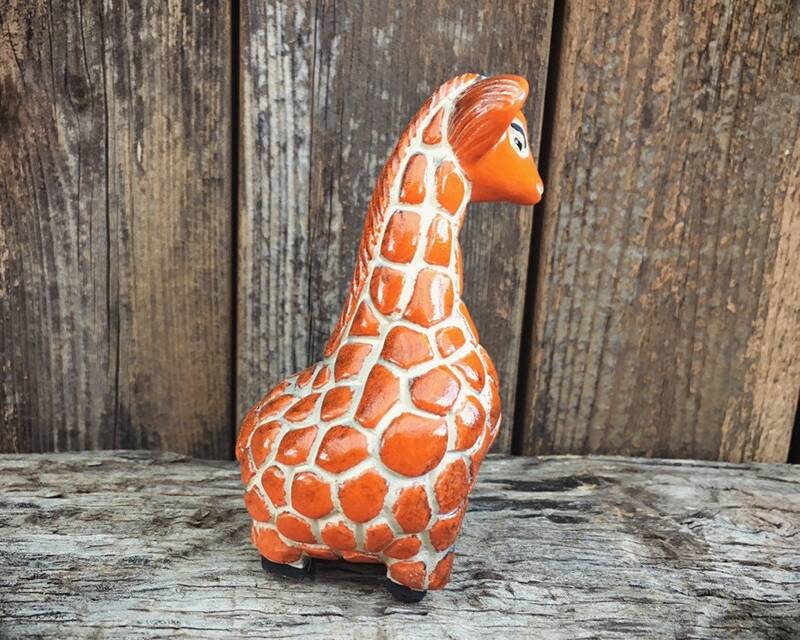 Perfect gift for the person who has big goals they hope to reach--a new graduate, someone re-entering the workplace, or the person who's about to retire. 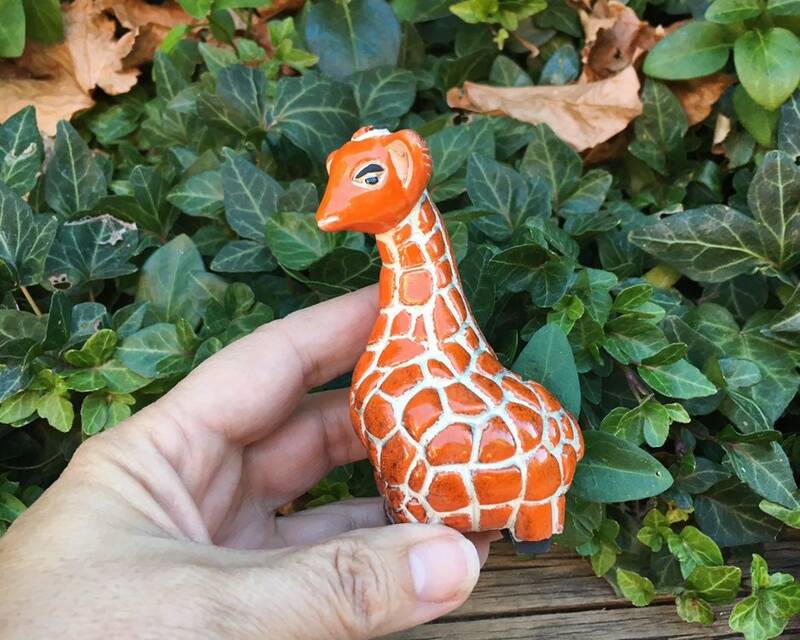 The giraffe measures 4" tall and 2-1/4" wide and deep. 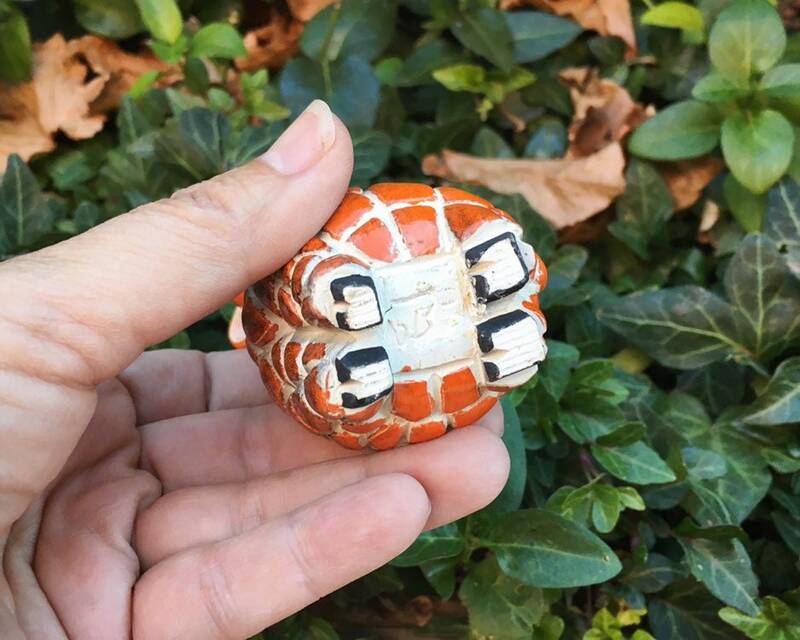 In good condition with no cracks nor chips.